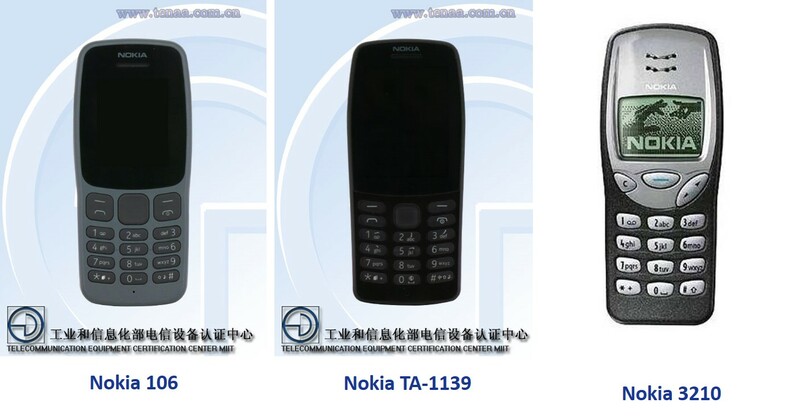 The Chinese ministry of telecommunication and information technology or its agency TENAA just revealed more info about new Nokia feature phone that resembles the relatively recently announced Nokia 106. This new device hiding under the model number TA-1139 will be just a regular feature phone with no special OS running inside. 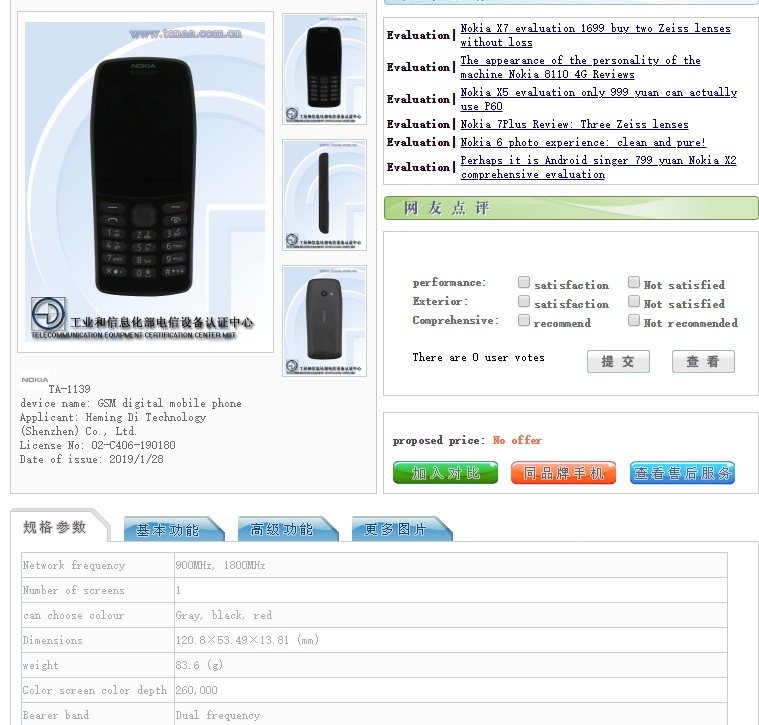 It will be a GSM phone since only two bands are reported (900 MHz and 1800 MHz), but one of them can be used for 4G. There is a slim chance of 4G since the processor power is a bit weak, just 360 GHz even though it is more powerful than the one used for Nokia 106. The extra processing power is probably used for the camera the phone has at the back. The battery of 1020 mAh will keep this phone alive for about month. The other thing that sounds great is the red color option that could be available in the stores. This one seems like an improved version of Nokia 106 which I liked from the start because of its shape that reminds me of good old Nokia 3210. Anyway, this one could be launched together with Nokia 6.2 and Nokia 9 Pureview on MWC2019, just to make the presentation more diverse.